Apart from being highly functional and easy in maintenance, contemporary glass dining tables create that unmatched light and airy feel no other production material can provide. Perfect for modern sleek interiors, they can be easily integrated into luxury high-gloss, minimalistic high-tech or mixed style environment, depending on their construction and design. Can be stylishly combined with chrome, wood or high gloss base to match any modern interior theme. Transparent surface of your contemporary glass dining table will instantly ‘open up’ your room and create an effect of unoccupied space, which is so essential, if you want to make your premises look spacious and uncluttered – visually, at least. 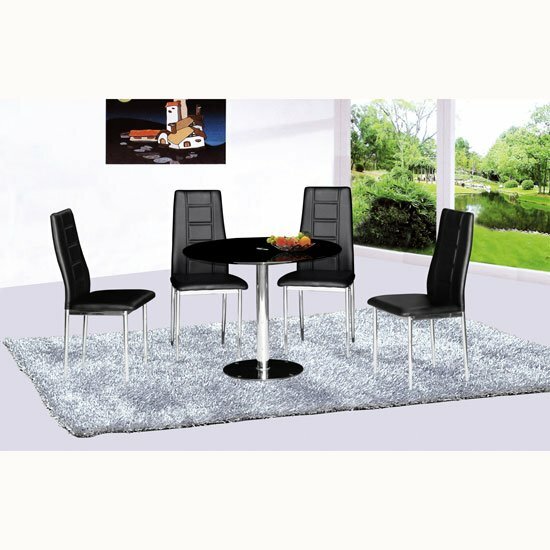 Such dining tables may have round, oval or classic rectangular shapes, moreover, extending solutions are also widely available in stores, if you need additional seating space. As fragile as their surface may look, contemporary glass dining tables are made of high-quality tempered glass, which is incredibly solid due to special processing. 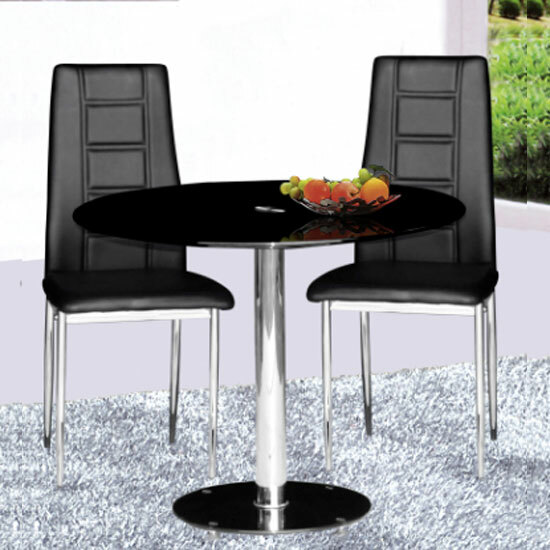 Such tables combine light and transparent feel with supreme firmness and durability, moreover, tempered glass is also scratch proof and will preserve its impeccable look for decades. Tempered glass surfaces of contemporary dining tables can be tinted into any colour and still preserve that unmatched transparency, or be frosted for even more interesting effects. All in all, the options available in modern furniture stores are virtually innumerable. Of course, before you choose in favour of contemporary glass dining tables, it makes sense to consider your interior style and decoration pattern, your room dimensions and, of course, your budget. Glass dining tables may sometimes be more pricy than their wooden counterparts, although the final price will depend on the manufacturer, the unit you choose and the store you shop with. Bigger stores will usually run sales and clearances, while small ones are unlikely to offer considerable discounts. And if you are looking for combination of reasonable price and top-notch quality, shop with big furniture stores, such as Furniture in Fashion . This UK e-commerce platform collaborates only with reliable brands and suppliers and vouches for the highest quality of every item advertised online, which you can always check out in person, if you visit company showroom (Farnworth). Apart from competitive prices and great quality, the store also offers short delivery times – 3 business days, unless you are ordering in bulk, and has its own internal couriers and client service department to ensure timely processing of your order and delivery.